Just wanted to share my current experiences with fractional laser, treating rolling scars left by moderate/cystic acne. So far I've done 4 Fraxel Re:store procedures on an affected area on a right cheek (added the "before" picture). The procedures were a bit painful, but as I have high pain tolerance, it was no big deal for me. The downtime was short and I was actually going to work the very same day I got my fraxel done, since the slight throbbing/burning sensation didn't bother me much. Each time my skin would start peeling on day 3-4 and the redness would be gone in 3-4 weeks. I've done these 4 procedures with 4-5 weeks in between them. Improvement has been slight so far, around 20-30% which is quite little for the amount of money I've spent, but these lasers are supposed to show the final result in 3-6 months, so I can't say that Fraxel Re:store was a waste. In about a month I'm gonna get an ablative laser procedure for the affected half of my face, since I have only had acne on my right side. Thought that I should get this things done before the sunny season kicks in. A bit nervous and pretty sure that the healing won't be easy-peasy like it was on fraxel, but the results might be worth it. Too bad I had some acne since my last fraxel, so I can't put a picture of my current state, cause it's all red and can be misguiding. But I am going to put an "after" picture in autumn 2015, so please subscribe to this topic if you want to see the outcome. Any tips or questions are welcomed. If you are comfortable with that procedure, don't be afraid, start believing that is the passage to your healing. Since that you are not having any complications or side effects, just believe that the rest of the procedure is going to complete your healing process. Thanks for encouragement, Robi. Side effects are supposed to be very rare even with the ablative type of lasers, so I believe that it should go well. I would try doing subcision (with filler or with suction), I think it would give you better results than an ablative laser. You can always do laser afterwards. Fraxel re:store won't do anything for those types of scars. Anouser, the area I'm treating is still a bit active and time after time breaks out, wouldn't subsicion cause cysts to form? In my country (Poland) PRP (Platelet Rich Plasma) injections are quite popular. It seems that is better than human growth factors serums because it's from your own body and is injected into your skin. My derm said, that is important to provide growth factors into your skin (instead of topical application) to boost regeneration and collagen production. 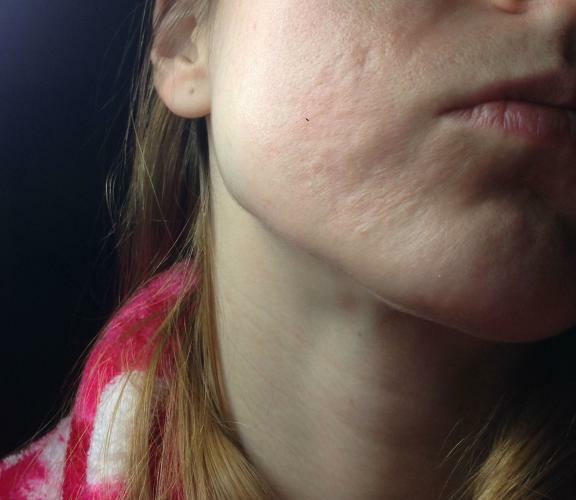 You shouldn't do ANY treatments until your active acne is under control (laser or otherwise). In my opinionit depends of severity. If you have only a few pimples (no cysts) you can do treatments. For 100% confidence you should ask your doc. Then I would never get to do any treatments, pretty sure this area is gonna be breaking out every now and then for my entire life. So apparently PRP injections is quite a big thing and gives much better results combined with laser or needling. Will definitely try it before doing the ablative laser!! I'd say proceed slowly. PRP seems to me like a lot of hype right now, and I'm not sure if there is a whole lot of added value. I could be wrong though. There was a study of ablative laser + prp and just laser. PRP didn't improve results at all, but it made healing a bit faster. Well, I drew my conclusions too fast, apparently. 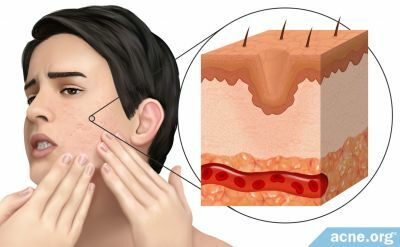 Today I called a molecular biologist and researcher, who has his own clinic and does prp-injections, according to him, prp has a better effect on making the skin look more youthful and giving it a lift, but doesn't do much for acne scars. Besides it's expensive as hell here in Sweden, and the clinics I contacted didn't agree to lower the price for a smaller area and wants to charge for both cheeks, which makes me think that money is their only goal and not helping the patient. On the other side - good news! Even though Fraxel Re:store is non-ablative and cannot give optimal results, I looked in a mirror today and saw, that my cheek is looking better than I thought. Didn't see that before today. Can maybe count 30% improvement. So it's promising. Sounds like things are going well for you! One thing to note is that a lot of places will put you on antibiotics for 5-7 days when you get laser to avoid any sort of breakout. I also am getting fraxel restore and just had it done again the other day on a high setting. For the healing they have me use a gentle cleanser then dickinson's witch hazel toner all over my face and then hydrogel and lastly ceramide cream. They make me repeat these steps 3 times a day so that helps a lot with avoiding breakouts as well. I think your skin is looking a lot better though and you are very pretty. One last thing I wouldn't bother with IPL for treating scarring its great for getting rid of dark marks and it can shrink pores a bit but thats it. IPL will show the quickest "results" because it's good at getting rid of redness, but it won't actually give you any results. The redness will come back and it doesn't actually help with scarring. Derma stamping can help. You'd need to do quite a few number of treatments though - I'd put it one category about re:store. Mixto laser is a "milder" ablative laser - less agressive but less results. Unless your skin tone can handle it, there's no real reason to do the mixto vs the re:pair/deepfx IMO. You have to go through a similiar recovery and procedure with less benefits. From everything I've read about PRP - it doesn't actually improve results too much but it improves healing time. It's a very YMMV thing. Personally speaking - I would try subcision + filler/suction first. It's fairly low risk, shouldn't be too expensive and might give you the results you're looking for (especially on your biggest scar). If you can't find a clinic online - most doctors who do fillers should be able to do subcision - you just have to call and ask. Doctors will pitch whatever device they have. You need to do your own research as to what you want, and find a good doctor you trust that has that device. Strange, cause both in both clinics I've been to, they almost forbid me to take antibiotics. According to them, a mild inflammation is what we want to achieve, so taking antibiotics would counteract what fraxel does. Frankly, I barely used anything while healing from re:store, just sunscreen and a bit more regular moisturizer, but then again, re:store is so mild. Got a couple of breakout, but I was getting them every now and then even before the treatments, so might be unrelated to fraxe. How many treatments have you done, Tracy? What results do you have so far? I read that Dermastamp is much less controlled than things in the same cathegory, like re:store though. Kinda makes me think that it's better to trust the thing that has worked without any harm, if both give kinda the same results. Yea, PRP is more for quick regenerating, I saw a YT video of a girl getting subsicion + ablative laser + prp injections. Her results were quite amazing, but it's probably not the prp itself. Unfortunately so few clinics offer subsicion here in Sweden... The only one in my city has ridiculous prices, cause it's supported by the state's healthcare system or smth. The 20 min consultation itself is like 200 euros (240 dollars). Nowhere to get this done, so sad. yeah they like you to take them to avoid any sort of infection when getting laser. now they dont like people to take NSAID's or aspirin until afterwards but they also make me take an anti-viral as well to avoid any sort of cold sores. i am amazed they dont give you stuff to use to heal your skin after the treatment. there is a specific set of things that many places use that really help with the healing and stuff. not sure what setting you had but for me its anything but mild -ha ha!! my face gets super swelled and very red and then after a few days it peels but this time i think the redness will stick around longer since the setting was so high. its so painful-blah! this is my 2nd fraxel the first time i had my entire face done except for the forehead. this time i had my chin area and to the left and ride of that done as well. i have seen some minor improvement on my indented scars but i really am doing it for the raised scars on my chin. the lady i see said that she has been able to laser those types of raised scars flat for other people but that i would need 3-4 at a super high setting to see results. i have another one scheduled on march 23rd. we shall see i've had so many treatments now that i am not that optimistic. i will say though that i have known this lady at the skin center for almost 10 years now and she is always super honest with me so i am hoping she is right. Hmm, my setting were high too (or at least that's what they said), very painful procedure and a lot of post fraxel redness/swelling too. But it healed well nonetheless, actually the burning sensation would go away in a couple of hours and if not the encrustment and harsh redness on my cheek, I would almost forget I've got something done. I wonder what depth do the "high settings" actually reach, cause they never told me, did they tell you? that is great that you are healing well - good deal! the lady did mine at 50mj and did 8 passes. the last few passes hurt so bad i was moving my face to get away from the laser. if i had a stress ball it would have been destroyed -ha ha! from what i found online 50mj - 1224 microns deep but not sure how true that is. this stuff confuses me -ha! i've also read online that it can go as high as 70 mj but not sure if they ever take it up that high. the lady told me it was near the max setting so beats me. i had it done on monday and it looks like i have a red beard. good thing is that its starting to peel now. i hope to be ok to go out over the weekend with makeup on. I added pictures of my progress on the first post. i think your skin is looking a lot better. those deeper scars seem to be filling in pretty nicely. i would probably just keep doing the restore if i were you since you seem to be getting pretty good results from it as well as i would think about subcision too. how many more do they want to do? Thanks Do you have any pics of your own progress posted? They wanted me to take a break until next autumn and do some IPL right, which I found silly, cause it won't do anything for me. Later they want me to do another course of 3 or 4 procedures. Nah I wish. I took some pics before I started laser back in 2013 but when I got a new phone they all disappeared -blah! So far I've done the erbium laser, then 2 co2's, a few ipl's then 2 fraxel restores. All I want is my raised scars flattened I cant figure out why its so hard they arent even that raised they just look super weird if that makes any sense. I did see a plastic surgeon that wanted to do dermabrasion on the chin area and I was going to do it until they told me I had to be off spiro for 2 weeks which is way too scary for me to think about right now. I wanted him to just numb me up and do the surgery while I was awake but he wont do that so for now I will do a few more restores then re-assess and go from there. As far as ablative goes the erbium and the co2 i had were fully ablative and I didnt see much of a result but I think if you are going to do it you gotta go pretty darn deep to even get down to the scar. 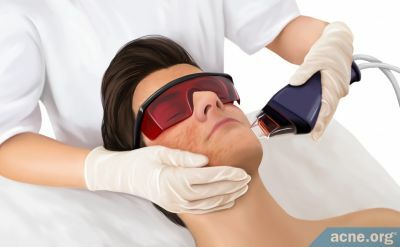 I almost think in many ways dermabrasion is so much better because the surgeon can go a lot deeper (its not set on a certain setting like laser but there is more room for error in a way) and customize the treatment for the particular scar but most times they wont even do that until subcision has been done. I would think they would want the scar raised up as much as possible so that the dermabrasion could be done just to finish it off. I know fraxel repair goes pretty deep but i know the recovery is longer as well. I would go see a few more docs and really do your research and then mention the various lasers and what they can do and go from there. Ask about spot dermabrasion too. The more informed you are the more it will help you decide what is best.